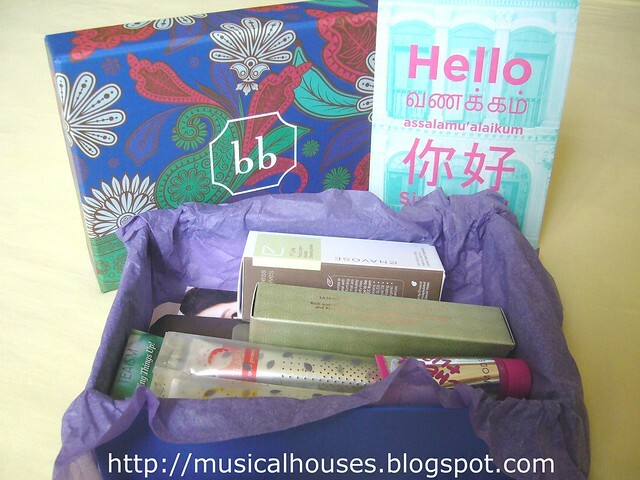 Bellabox's August box has arrived, together with the National Day holidays. Of course, the box itself is themed for the occasion as well, and the tiny box itself is packed with beauty goodies! 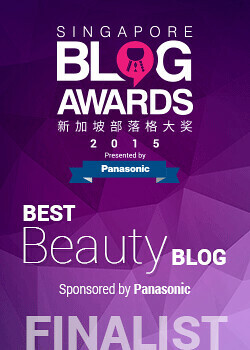 August's Bellabox: makeup, skincare, handc cream, and tea. Yes, tea. The box is so pretty! 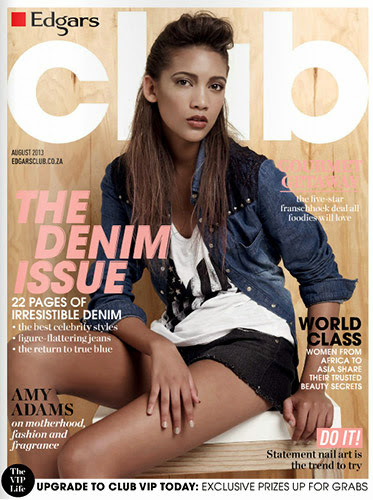 Love the Peranakan-inspired print! Inside is a good mix of products - there's makeup, skincare, hand cream, and tea! That's right, there's tea, too. On the food front, I got two sachets of My Life Inc Teaism Brew. This is really upscale tea, so although I don't normally like food in my beauty boxes, I guess it's alright. I do drink tea everyday, after all. My life Inc Teaism Brew. This tea is fancy! There was also a Brilliant 2-Step Gel Patch and Wotnot Facial Wipes. It seems to me that this month some people got the MUFE lipstick or foundation, but I got neither. 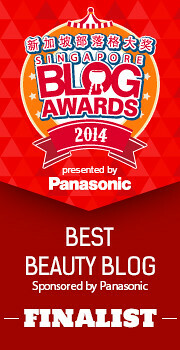 I think in its place I received the Brilliant 2-Step Gel Patch, which is actually a hydrogel mask for your lips! It's meant to be effective at soothing very chapped lips. I don't really suffer from chapped lips (although I did when I was taking some really skin-drying meds sometime back), so I'm kinda sad that I didn't get the MUFE product (especially the lipstick!) but hey, it's all random, right? The WotNot Facial Wipes are also another nice addition to the box - I do use face wipes. 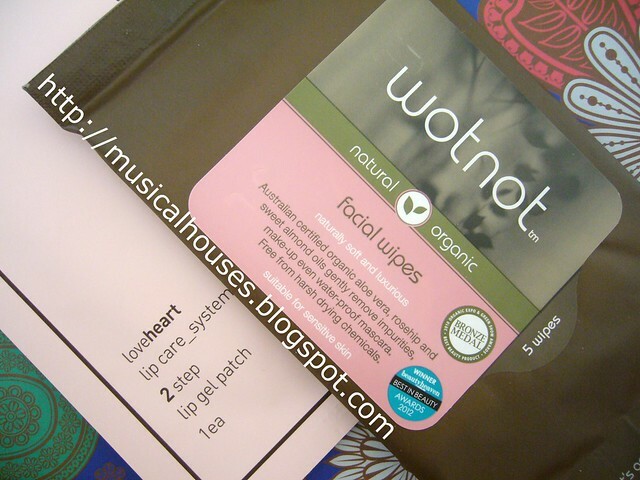 Brilliant 2-Step Gel Patch and Wotnot Facial Wipes: For lips and face respectively. I also got samples of Harnn Hand Cream and the Enavose Floracomfort Micellar Cleansing Water. I've actually done a Enavose Floracomfort Micellar Cleansing Water review before, and it's a pretty good product I'm happy to have. The Harnn Hand Cream is a very nice addition to the box, and useful since I also use hand creams. 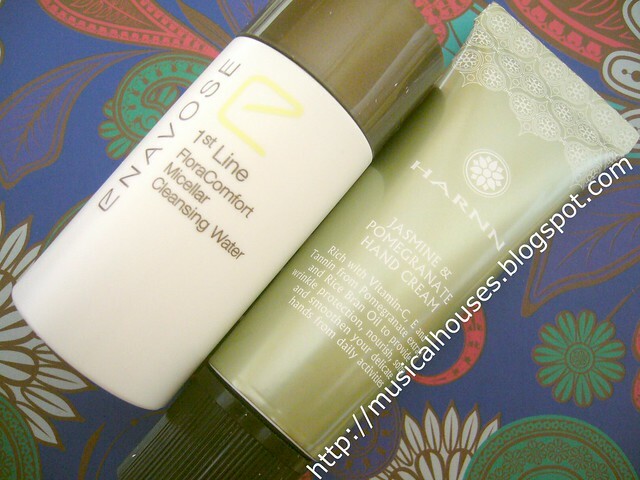 Harnn Hand Cream and the Enavose Floracomfort Micellar Cleansing Water: One new to me, and one I've already tried. And, to round everything off, smaller samples of the ModelCo Cheek and Lip Tint, and sachets of the L'egere Aqua Smoothing Essence-in CC Cream and Magic Skin Beautifier CC Cream. The ModelCo Cheek and Lip Tint is a really interesting product - when I first opened the tube, the product was dark coloured, almost like henna! 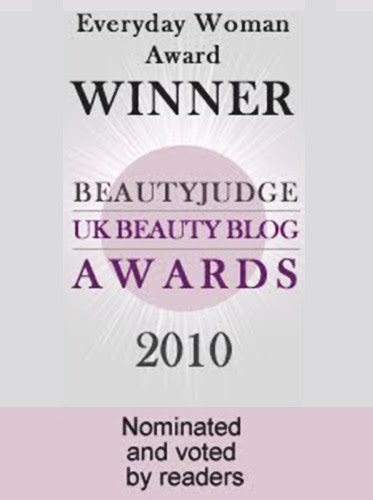 But when you apply it, it blends out into this rose red shade, similar to Benefit's Benetint. 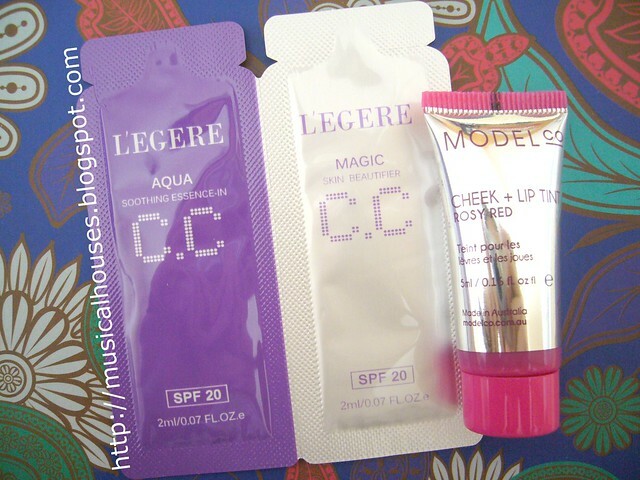 ModelCo Cheek and Lip Tint was a very interesting product for me, but the L'egere CC Creams, not so much. All in all, I think that this month's box is good, if you like a variety of products. Although I was kinda hoping I would get something MUFE, I guess it's not a big deal - the thing about these beauty boxes is that some months you get something that blows your mind, and sometimes you don't. It's part of the luck of the draw. 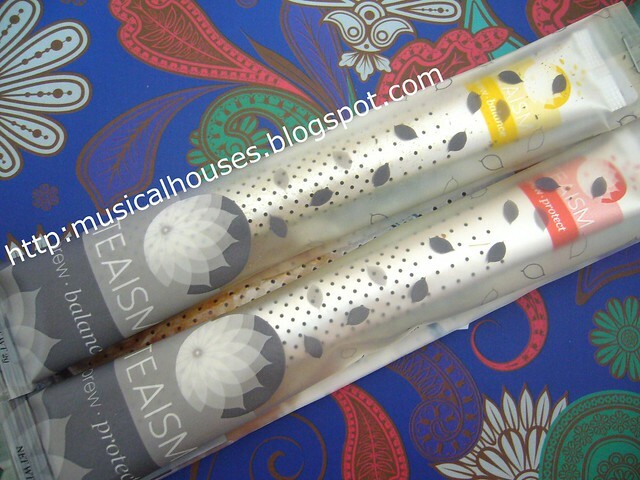 The Peranakan print on the box is also lovely, and definitely a draw for me. I think I might just use the box itself as a gift box, or to store my own pretties!